Could you live in 132 square feet of space? New York City building law defines this as an apartment. YIKES! It would certainly force one to prioritize. “Editing” is always a good idea, and is a design term for “getting rid of stuff!” But it’s hard to let go of your kids old board games, that set of Holiday mugs that never seems to get used, and the clothes in the back of your closet that you might wear again…someday. So, we say, design your space to accommodate the Clue and Monopoly boards, tuck away the 90’s denim and still have room for more! 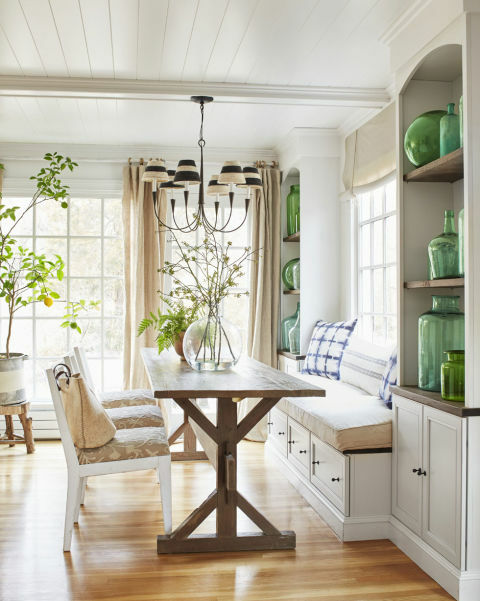 Below are a few of the gems of wisdom that were gleaned from the classroom and design lessons learned along the way when it comes to making small spaces live large. 1. A PLACE FOR EVERYTHING AND EVERY THING IN ITS PLACE. The closet above makes use of every square inch, and though small on space, it’s big on design details like the hanging lamp, rug, mirrored doors, and custom built-ins. 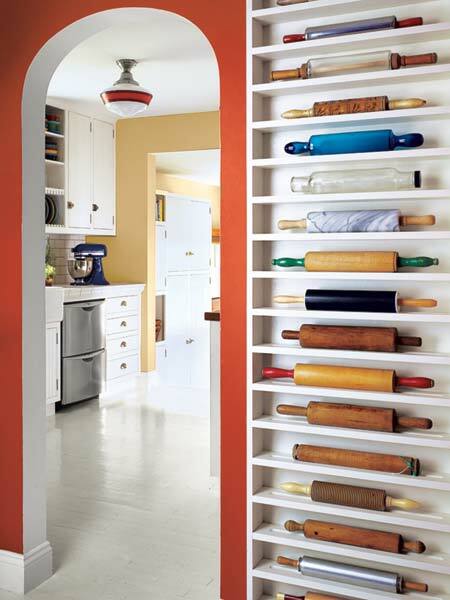 Doesn’t this make you want to run to the nearest Container Store? 2. BUILT-IN FURNITURE (and closet shelving like above) SAVES SPACE AND PROVIDES OPPORTUNITY FOR ADDITIONAL STORAGE. This small office works well with built-in filing cabinets, computer nook and lighting. Shelving built around and above windows. Brilliant! 3. THERE ARE STORAGE OPPORTUNITIES HIDING BETWEEN WALL STUDS. Medicine cabinets, open shelving and niches can all be placed between wall studs. 4. SHARP CORNERS IN SMALL SPACES ARE AN ACCIDENT WAITING TO HAPPEN. Round the corners of furniture and counters for an easy, comfortable flow. 5. 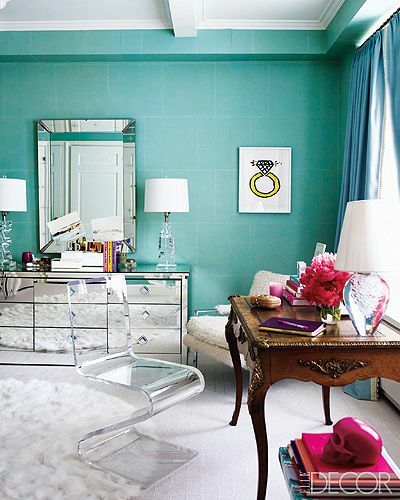 MIRRORS, AND OTHER REFLECTING SURFACES, VISUALLY ENLARGE A SPACE. 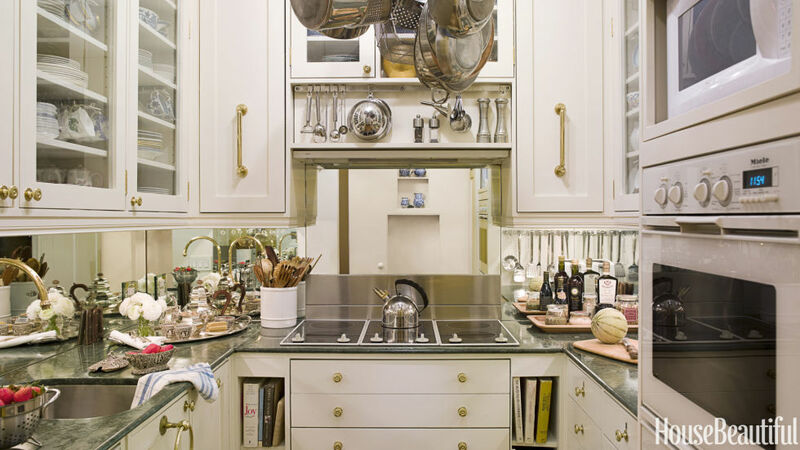 Above, a mirrored backsplash helps visually enlarge a tiny apartment kitchen. This hallway has it all: mirrored walls, a glossy floor and a glass entry door add shine and reflect light. 6. 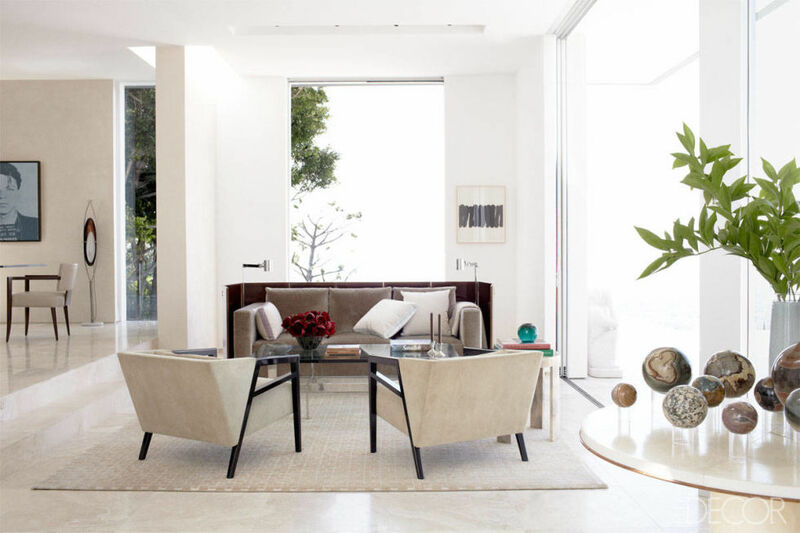 GLASS TABLES, LAMPS AND LIGHTING FIXTURES ALMOST DISAPPEAR CREATING THE ILLUSION OF SPACE. Can you find the chair in the picture above? We also like how this mirror reflects the real window on the adjacent wall. 7. 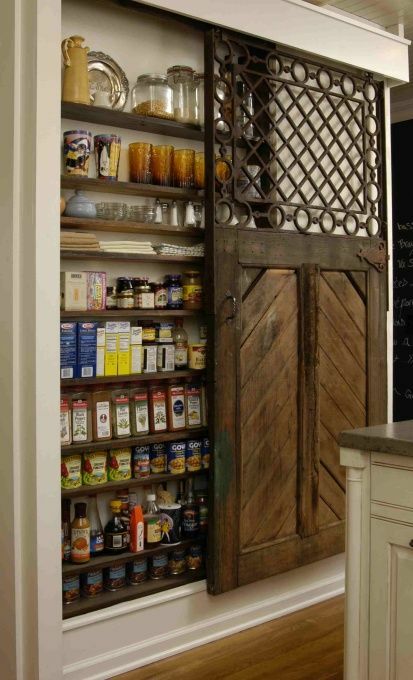 SWINGING DOORS EAT UP VALUABLE SPACE. IF POSSIBLE, GET RID OF THEM! 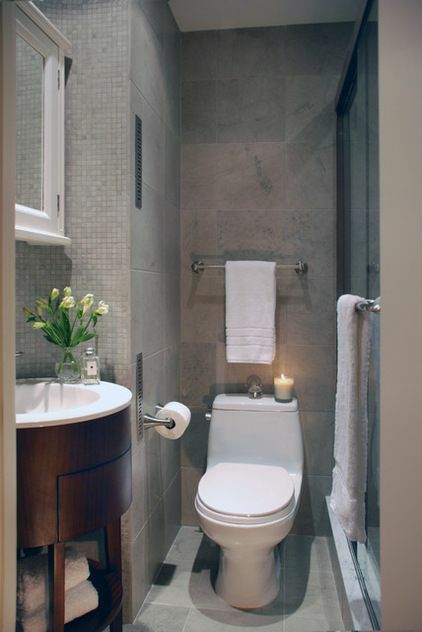 A modern sliding shower door helps in ‘space challenged’ bathrooms. Moving furniture even a few inches from walls expands the feel of a room. Seems a bit counterintuitive but give it a try, it works! There are so many space saving tips. We could write a book on this subject. 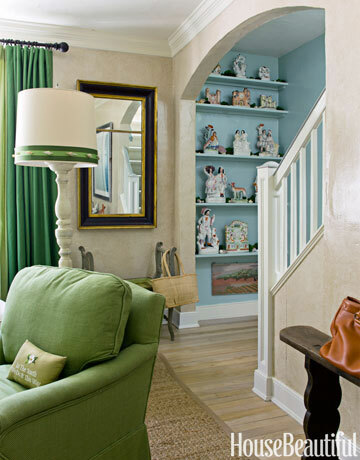 Make the most out of every inch to maximize your storage and create an open and inviting space. Go big on creativity and make your small space work for you! Mother’s Day is this weekend, and in honor of my Mother, who has collected and curated objects and obsessions for decades (i.e., before eBay), Surroundings offers a few ideas for displaying and styling beloved pieces. Whether it’s art, teacups, Lalique, thimbles, African masks or depression glass, you can show off your collections without auditioning for the next episode of TLC’s Hoarding: Buried Alive. Neutral, monochromatic backgrounds (think museum walls) will allow your collection to “pop” and speak for itself. Unify collections by highlighting one color, shape, texture or theme. Venture outside the glass. Curio cabinets are beautiful and stave off the dusting, however, some of your precious objects might really shine if they are allowed to breathe (and yikes) be touched. 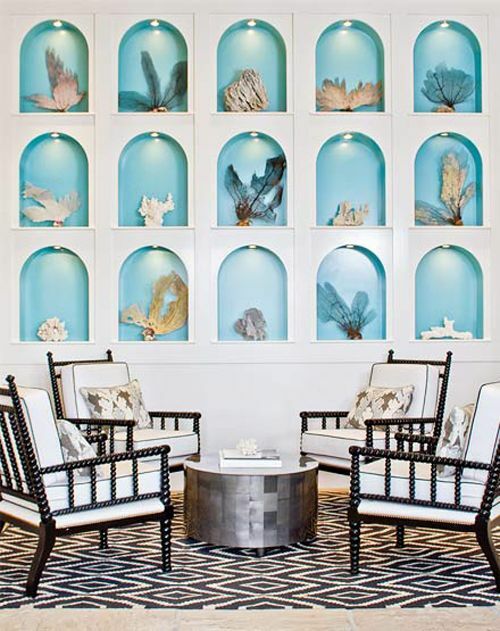 Consider collections part of the architectural landscape, and really build or create a place for your passion to add personality and dimension to a room. Finally, there are no rules that can’t be broken when it comes to collections…be creative, proud and impactful! 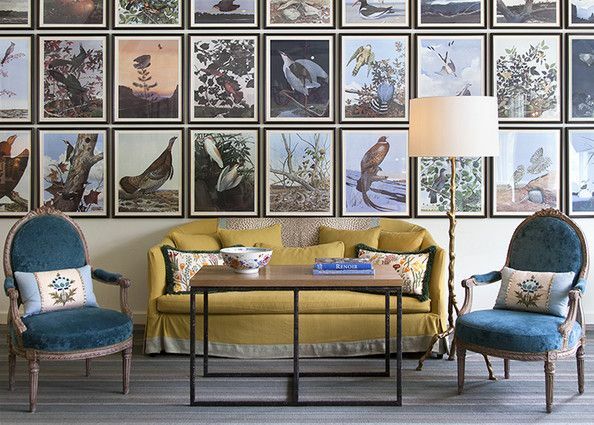 These two bold plate collections are fantastic examples of collections that can’t be ignored. The first picture capitalizes on color, focusing on green, blue and white. 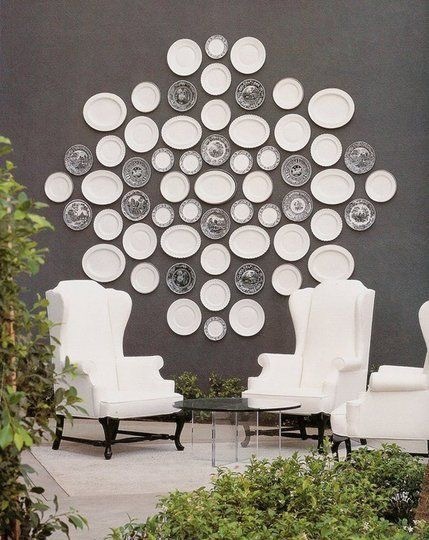 As the plates climb the wall, almost floor to ceiling, the eye travels along. White is a color, and in this display, it pops against the gray walls. Instead of a linear installation, this collection is hung in a relatively circular pattern that creates visual interest and is a nice accent to the straight backed chairs. 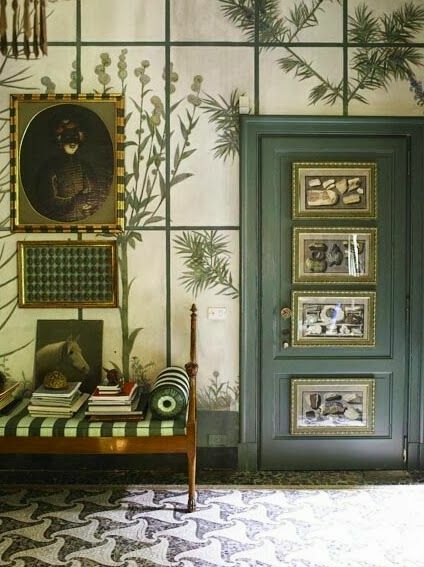 In this more traditional home, a linear arrangement of prints provides order and emphasis by covering the wall almost entirely. 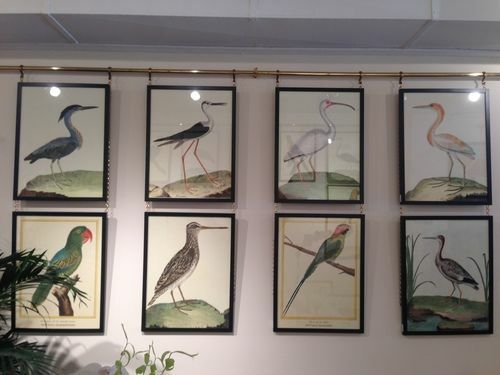 A picture hanging rod sets this collection apart. 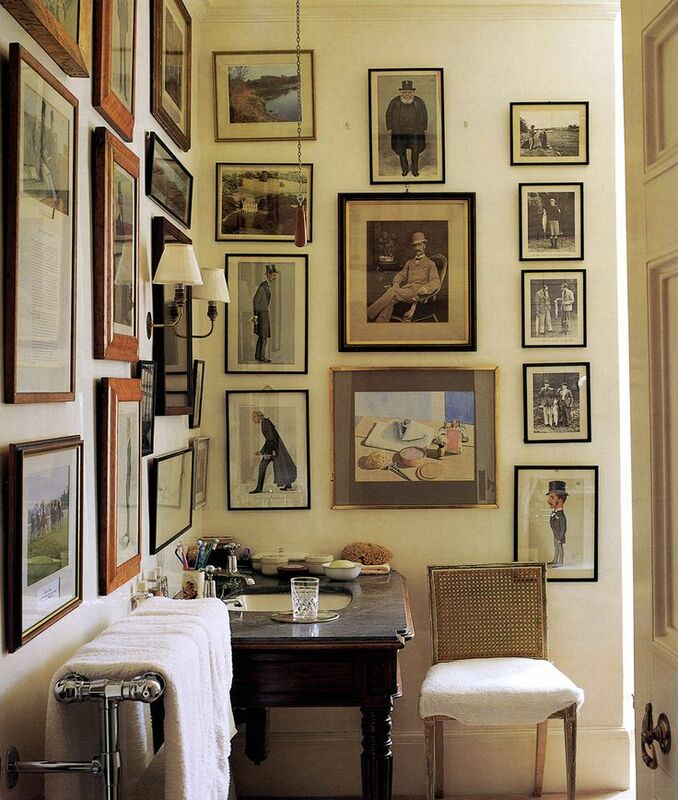 However, art work doesn’t have to be hung over the fireplace or behind a sofa. Here, art is hung on the back of a door. 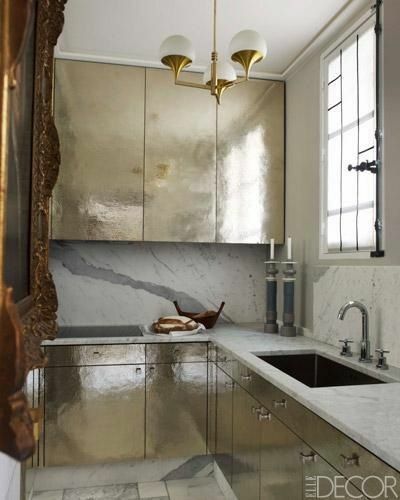 Even the kitchen provides an unexpected, but impactful space for art. 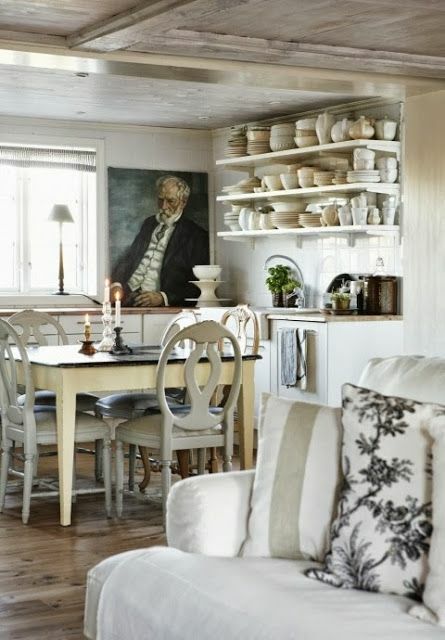 Besides the portrait hanging below, everyday dinnerware in shades of white becomes a collection when displayed on open shelving. Set off your collection and give it a place of promenence by building a niche or custom shelving unit. 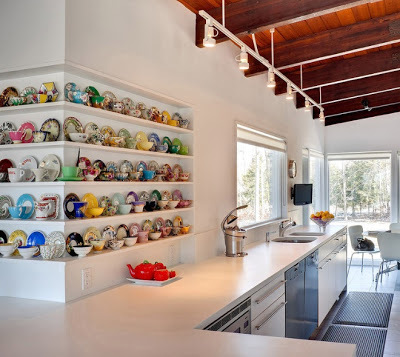 The arrangement of antique teacups here provides color and whimsy to this modern kitchen. Choose a color the accents your collection. 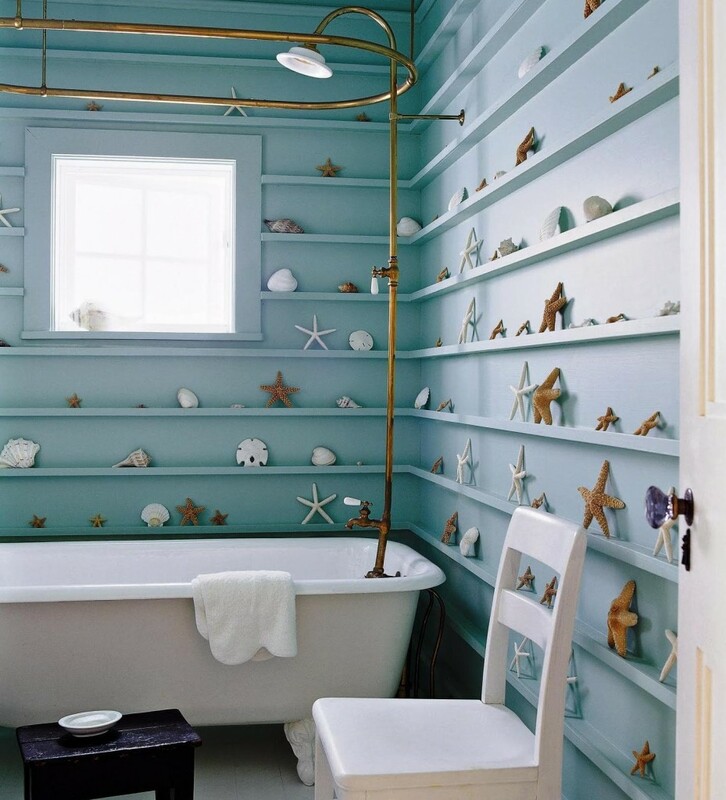 The neutral sea fans and seashells really stand out against pretty blues. 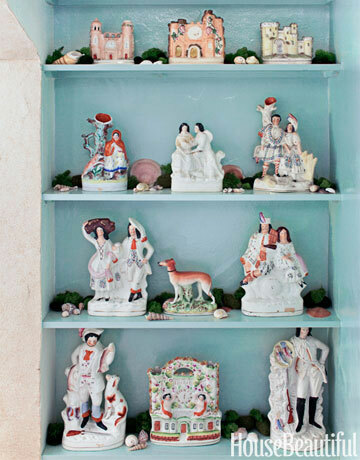 Even those figurines hiding in an old box in the attic are lovely in the right setting. 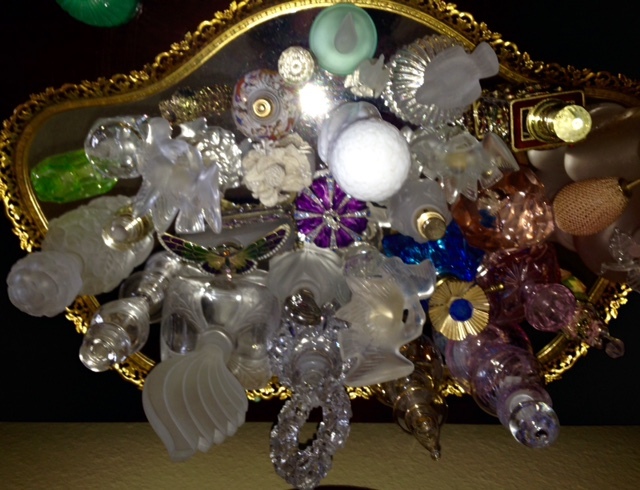 Nothing makes us happier than a client with a collection. It really gives us a starting place, framework and inspiration. 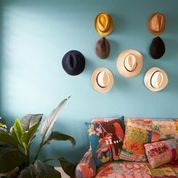 This Surroundings client collects hats. 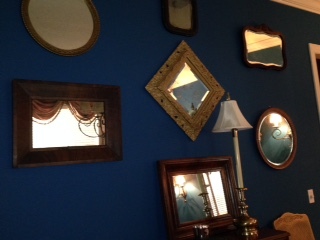 Antique mirrors are on my list of collectibles. Surroundings Media Director’s two sons love Legos. 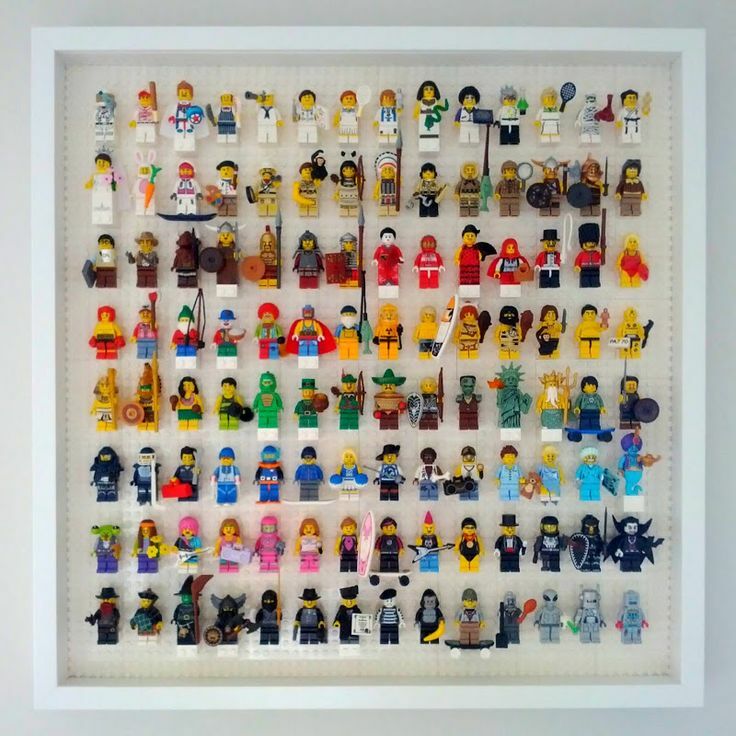 So many great ways to display a collection of Legos or any small toy. Below is one example. 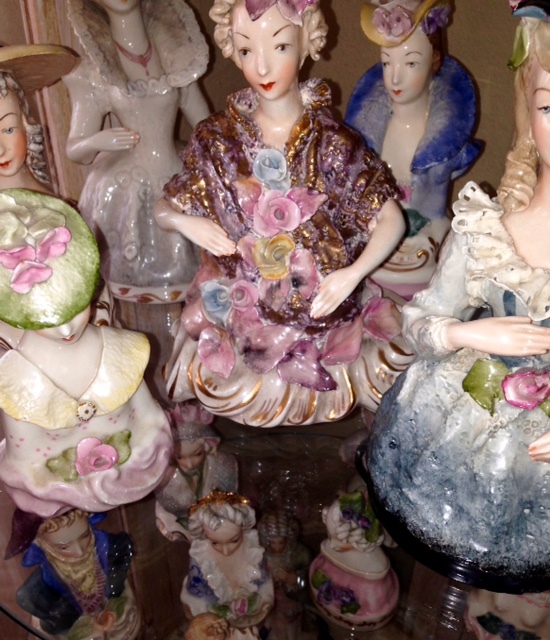 Mom’s collection of Corday figurines, sitting prettily on a two-tiered glass table, and her perfume bottle collection gathered together on an antique mirrored tray. Send us pictures of your collections. Happy Mother’s Day, Mom(s)!